Emma Azalia Smith Hackley was an African American singer and Denver political activist born in Murfreesboro, Tennessee in 1867. Her parents, business owners Henry and Corilla Smith, moved to Detroit where she attended Washington Normal School, graduating in 1886. Smith, a child prodigy learned to play the piano at three and later took private voice, violin and French lessons. Emma Smith worked as an elementary school teacher for eighteen years. During that period she met and married Edwin Henry Hackley a Denver attorney and editor of the city’s black newspaper, the Denver Statesman. In 1900 Hackley received her music degree from Denver University. In 1905-1906 she studied voice in Paris with former Metropolitan Opera star Jean de Reszke. Hackley was active in black Denver’s civic and social life. She founded the Colored Women’s League and served as executive director of its local branch. She and her husband also founded the Imperial Order of Libyans which fought racial discrimination and promoted patriotism among African Americans. 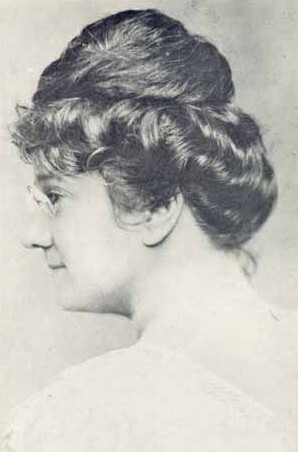 Hackley separated from her husband in 1905 and moved to Philadelphia where she became director of music at the Episcopal Church of the Crucifixion. While there she helped organize the People’s Chorus which later became the Hackley Choral Society. The group proved popular in the Philadelphia area and gave her the opportunity to study voice in Paris in 1905-1906 with former Metropolitan Opera star Jean de Reszke. Despite her stellar training, Hackley did not pursue a professional career. Instead she spent much of the rest of her life training a younger generation of singers including Marian Anderson, Roland Hayes and R. Nathaniel Dett. She did give benefit concerts to raise money for additional training for these and other singers. Following a third European trip in 1909, preceded by her divorce from her husband, Hackley began giving classical music lectures throughout the United States After a brief Canadian tour in 1911 she created the Vocal Normal Institute in Chicago in the hope of providing an institution where artists could develop their professional abilities. Hackley also published her own collection of music under the title Colored Girl Beautiful. When the Vocal Normal Institute failed in 1916, Hackley turned her attention to African American folk music and organized the Folk Songs Festivals movement in black schools and churches across the South. In 1920, despite failing health, Hackley traveled to Tokyo, Japan where she introduced black folk music to an international audience at the World Sunday School Convention. During a 1921 California tour Hackley collapsed on stage while performing in San Diego and was brought back to Detroit. Emma Azalia Hackley died from a cerebral hemorrhage on December 13, 1922 in Detroit.